6:30-7:30 pm, following a potluck supper at 5:30. 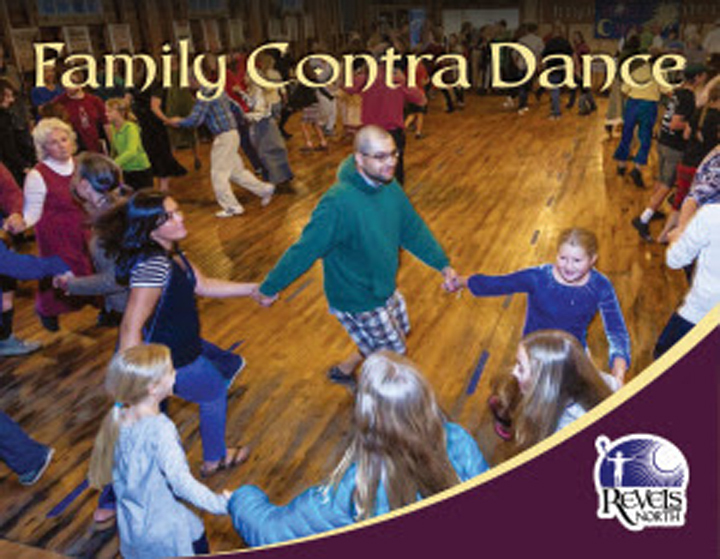 The Revels Seasonal Family Dance is an all-inclusive, no experience necessary, smile-inducing evening of joyful community dancing with live music provided by traditional musicians from the Upper Valley and beyond, and hosted by a dance caller who will help you feel confident and comfortable as you move your feet. The caller explains how the dance flows, helps the dancers “walk through” the steps before the music starts, and continues calling out instructions throughout the dance. Dress lightly, wear your most comfortable pair of flat-soled shoes, grab your family, and come join us for an unforgettable evening of music and movement!